We have over 20 million Ultra High Performance Neodymium Magnets currently in stock and have hundreds of standard sizes available immediately from stock with same day dispatch for orders placed before 4.30pm (Mon – Fri) and a guaranteed Next Working Day Delivery option. Our highly experienced and friendly technical sales staff are waiting for your telephone call and will be happy to discuss your requirements and to recommend the best product, guaranteed to work for your application. The application of magnets is one of our major strengths, our senior technicians have decades of experience in developing magnetic solutions for strip steel mills, robotic welding cells, canning plants, tin can de-palletising, food production sites, chemical plants, point of sale displays, printing and wind turbines. Customer service is of critical importance and our staff are trained and encouraged to go the extra mile to make sure that we exceed all our Customer’s expectations. Telephones are answered quickly during working hours and emails are processed through a ticketing system so that you receive a reply and a ticket number by return and the time taken to reply to your email is monitored and documented to make sure answers are given quickly. Our range of magnets is constantly growing, we add around 10 new sizes each month and if you have on-going requirements for magnets which are currently unavailable, then please do tell us about them, we often add new sizes based on Customer demand. We supply magnets to Businesses, Universities, Schools , Colleges, Local Authorities and private individuals, we have no minimum order charge and offer credit accounts (subject to status) for repeating industrial Customers. Whether you know what kind of magnet you need or you are looking for inspiration and advice we have a wide range of unique tools to help you find the right product for your application as quickly as possible. Our shop by material section allows you to shop with ease starting with a raw permanent magnet material and working your way to the correct shape and size. If you have no previous knowledge of magnets we have created shop by ‘colour’ and shop by ‘shape’ options. These tools have been extremely popular with website visitors and we hope they create a great shopping experience for all our customers. If you are looking for ideas and inspiration we have a large number of customer photos, reviews and applications. That’s a whole section of our website dedicated entirely to the fun projects you can undertake using magnets. From the inventor and mad scientist to the crafting professional and classroom learner. We will aim to inspire you! To help ensure you receive your order in plenty of time for your project we offer a simple delivery method for mainland UK, Ireland and Europe. We aim to dispatch every order we receive before 4pm Monday – Friday the same day it is placed, even if you haven’t selected next day delivery. Everyone at first4magnets has a great passion for both magnetics and our customers. We aim to offer the highest quality and customer service available from any UK retailer. How do I choose the right magnet? It is surprising just how many magnets are available to purchase online for your office, home, school or business. With literally thousands of different types, sizes and strengths which product do you choose? At First4magnets.com we like to think that choosing the right product for your application is a simple and easy process, so how do we do it? We employ a specialist team of technical engineers that work round the clock to provide professional and detailed advice. Unless you ask us to we won’t give you any complicated equations or ask you to calculate any big numbers, we’ll do all that for you. Simply tell us about your project and we will supply you with the right magnet. What do people use magnets for? This is a very common question often asked when people talk about magnets. The simplest answer we can give is that “they are used in almost every commercial application across the world, from industrial manufacturing and consumer electronic devices to sustainable energy and domestic power generation”. They were first discovered by the ancient Greeks and originally called ‘Lodestone’, they have been the subject of re-engineering and industrialisation for many decades. As a result, high performance rare earth magnets are now commercially available around the world. With the discovery of these small, high performance miracles came the development of new technologies. The past decade has seen them form a fundamental part of consumer electronic devices. Without them the boom in computer hard drives would not have been possible, loud speakers would not perform so well and new wind turbine farms springing up around the world would cease to exist. They really are simply an unnoticeable part of everyday life. Neodymium magnets are often referred to “NdFeb” or "Neo". First discovered in 1982 and commercially available in 1984 Neodymium magnets have largely become the most widely used type of rare earth magnet around the world. They are manufactured from an alloy of neodymium, iron and boron (NdFeB). Although relatively small in size they are known for their incredible strength. The main ingredients are Neodymium, Iron and Boron. The exact ingredients depend on the grade being produced. We also add a key ingredient called dysprosium to raise the coercivity of the material and increase the resistance to demagnetisation and corrosion. You can read more about the manufacturing process here. Are Neodymium Magnets really that strong? Yes, they are. Neodymium (sometimes referred to as “rare earth”) magnets are the strongest commercially available. They possess an extremely high magnetic pull and in some cases (the very strong ones) can cause severe injury. If you would like to know how some of our customers are using Neodymium magnets, please take a moment to view our Applications Page. Neodymium is the most powerful of all permanent magnet materials. 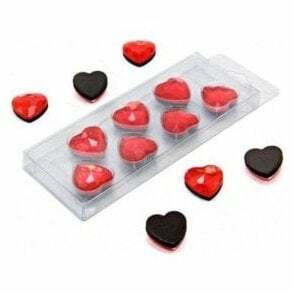 They are often known as “Super Magnets”.They are used in applications where the strongest magnetic force is required from the smallest possible volume of material. A range of high quality flexible magnetic material and ferrous material, everything from sheets with adhesive to sheets with brighly coloured vinyl facings. Ferrite does not give the power of Neodymium but it creates deep depths of field and offers outstanding value for money. Circular discs can be fixed in place using adhesive or can be pushed into circular drilled holes in wood or plastic. We have one of the biggest ranges of sizes and materials available in the UK. 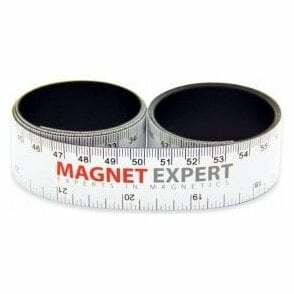 Including products made from N42 grade and N52 grade Neodymium magnet material, many of these magnets have unbelievable magnetic performances. A magnet 10mm x 10mm and 5mm long weighs only 4 grams and yet generates a force of over 2,800 grams. This range includes powerful neodymium discs with the convenience of super strong 3M adhesive with a peel away backing strip. A range of ring magnets ranging from 6mm dia to 157mm dia including diametrically magnetised rings and cylinders. A range with a central hole that is countersunk to allow fastening in place using a countersunk screw. Pots consist of a steel shell with a magnet sunken into one face. They come supplied with a variety of convenient fixing methods. 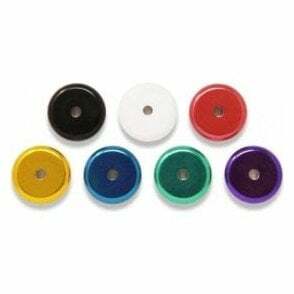 High power clamping magnets with removable hooks or eyebolts that are ideal for holding portable lighting, POS signage, trailing cables among other popular applications. Mitre magnets have a 45 degree mitre / bevel on one pole. Arcs can be magnetised through the thickness of their arc shape creating a unique magnetic field. Made from higher grade Neodymium material or in performance increasing assemblies, these magnets have the ULTIMATE magnetic pull force performances. A range of products designed for retrieval applications ranging from telescopic retrieval pens for recovering small ferrous objects to large sweepers..
A range of stunning notice board magnets, ideal for notice boards, offices or simply super cool for your jazzing up a fridge! Magnetic based products designed for science & educational uses. These are perfect for school science classes. Our high power water conditioning products designed for 15mm to 65mm copper & plastic pipes. A range of super high power Neodymium Magnets including specially designed wedge shaped ones for serious wind generator projects. Circular discs which are magnetised across their diameters. This range include not only discs but also rods and rings as well. Magnets for therapy have been used by thousands of people to provide relief from long term chronic pain caused by a number of persistent ailments. The perfect range for model makers and model making applications. You may also want to consider this range for arts and crafts! Powerful magnets which are switchable ON and OFF by simply turning a switch though 90 degrees! This range includes a steel plate lifter, switchable magnetic bases and magnetic sweepers among others. Our range of small, medium & large magnetic whiteboards and unique magnetically attachable whiteboards and flexible whiteboard sheets. Ferrofluid is a magnetically responsive liquid that creates the most amazing patterns when placed near a magnet. We have also included some popular magnets here too. Need to stick something in place, we have Araldites strongest ever super glue and industrial Loctite adhesive for bonding ceramic materials to most surfaces. If you don't know what size you need and don't want to buy lots of packs to try... why not buy a selection pack? 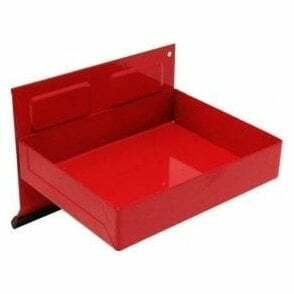 Choose from rectangular and disc. High quality and great value magnetic products and kits designed to help organise workshops, warehouses, offices and more. A Selection of circular steel discs suitable for use with our products like countersunk and pot magnets. These discs can be used as striking plates or also as keepers and back plates. These magnets have a self adhesive front plate for applying your own custom designs. They are designed to save damaging clothes with pins or stickers. Our experienced and friendly customer care team will always provide you with no-obligation technical advice and support every step of the way. If you would prefer some face-to-face advice you can arrange an appointment with a technician to discuss your requirements. At first4magnets.com, going the extra mile to help our customers is not something reserved for a chosen few. Whether your order is for one magnet, or 100,000 magnets, you will not get better service anywhere else. We aim to provide the highest standards of delivery to all our customers and guarantee same day dispatch for orders placed before 4.30pm (Monday to Friday). We also offer a guaranteed next working day delivery option with a one-hour delivery window so you don’t have to wait around all day for your products to arrive. View our delivery policy page for a full breakdown of our delivery options. This section of our website has been created to showcase just some of the many ways magnets can be applied in your house, holiday home or business. Rare earth magnets are the strongest magnets commercially available. There are two types of rare earth magnets known as neodymium and samarium cobalt magnets; because they are so strong even small magnets can be really effective making them the magnet of choice for thousands of applications. This section explores both neodymium magnets and samarium cobalt magnets, the types of products that are available and how they are used. Permanent magnets are used everywhere and without them many everyday applications and devices that we all rely on day-to-day wouldn’t be possible. From devices around the home such as washing machines, televisions, and personal computers to industrial applications such as a recycling plants and wind turbines. This page takes a closer look at how permanent magnets work, their physical properties and their applications. The classification and properties of magnetic materials can be confusing. Choosing the right magnet for your application is vitally important particularly if the application is such that the consequences of a magnet failing would be extremely serious. Our technical experts pride themselves on understanding our customers’ requirements and identifying the ideal magnetic solution. This area shares our knowledge on how magnetic materials are classified, it also introduces the magnetic materials commercially available, describes how each is manufactured and their key magnetic properties.